This is a poster/help-sheet that students can use to recap what a noun, adjective and verb are. 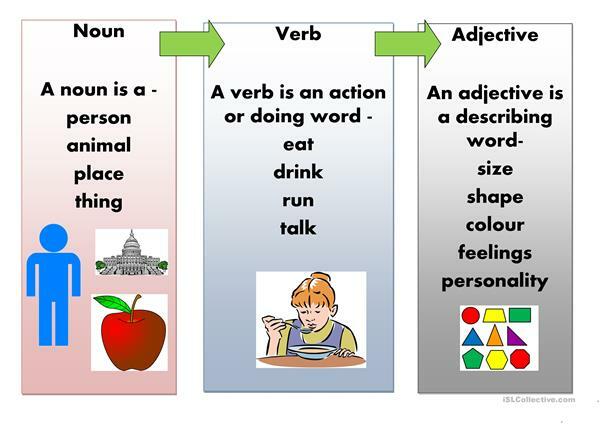 The words can be altered to suit the level of the students and be used as part of a classroom display also. The present downloadable printable is a great resource for high school students, elementary school students and adults at Beginner (pre-A1) and Elementary (A1) level. It is a valuable material for improving your learners' Writing skills.